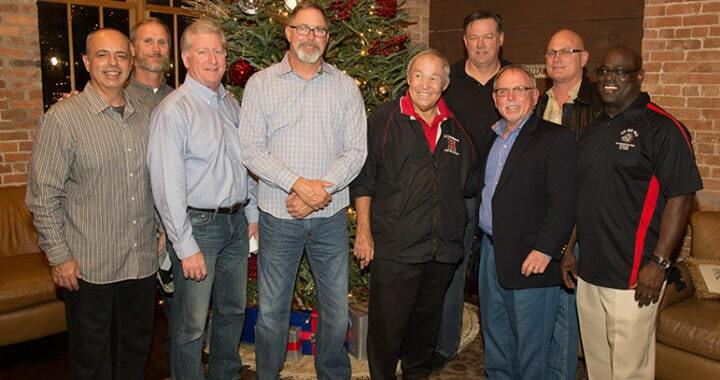 Terrier Football’s finest attended the 2nd Annual Alumni Celebration and Comedy Roast Fundraiser on December 9th. As old friends swapped memories and laughable moments the room buzzed with the excitement of a new era in the HHS Football program. HHS Athletic Director Mick Boddie kicked off the celebration with a recap of last years Terriers 4 Life event. Boddie reminded fellow football alum that being a Terrier 4 Life is a commitment fueled by a tradition and legacy to give back to the future of HHS Football. While Boddie noted “Hillsborough High School’s is second to none!”, an applause rang through the building in agreement. Alumni were encouraged to give back to the football program in whichever capacity they could. “We need your talents. We need your time. Most of all, we need your presence”, said Boddie. The comedy roast of Coach Earl Garcia Jr. rendered sidesplitting jokes and never before heard stories. Coach Max Warner who served as the QB coach for HHS from 2011-2015 began the roast by offering Garcia a stepping stool to help him climb into his seat. Coach Pat O’brien spoke of all the memories shared coaching against each other over that past 30+ years. O’brien noted that only fate could have directed Garcia’s path to HHS. Coach G returned the favor by cracking a few jokes about his fellow roasters. 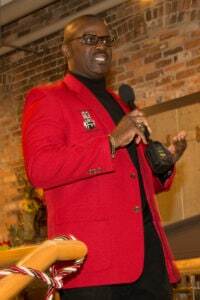 He expressed that “these memories are what have built the undying strength of the HHS football program”. 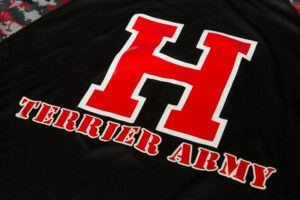 If you missed the event and would like to learn more about being a part of the “Terrier Army”, contact Vanessa at [email protected] for more details.